Tired of clients calling you to change their favorite channel icons to go to yet another channel, oh and change the icon too? You don't have time to piddle around with that, you have to sell and install complete new systems! 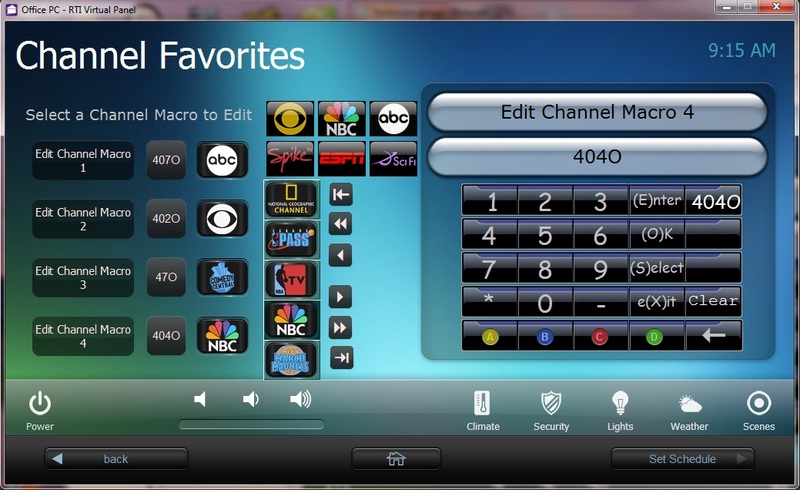 Use this handy driver to let your clients change their own channel macros. And, let them change the icon too! You can test drive this driver on your RTI XP based processor for about 60 minutes after reboot without a license key. You'll want to use it on every remote once you see how cool it is!